The Day | What’s the Anarchist-Occupy Connection? 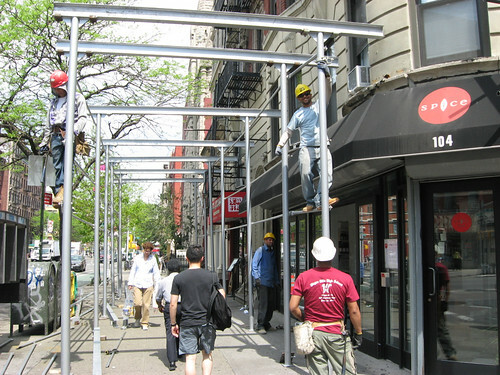 Stephen Rex Brown Scaffolding went up at Second Avenue and Sixth Street yesterday. If you missed our coverage earlier this morning of Community Board 3’s S.L.A. committee meeting last night, well then here it is. The Standard East Village didn’t show up to pitch its dining overhaul, but a couple of iconic bars, Joe’s and Nice Guy Eddie’s, got nods of approval for new ownership. Suzanne Rozdeba L.E.S. 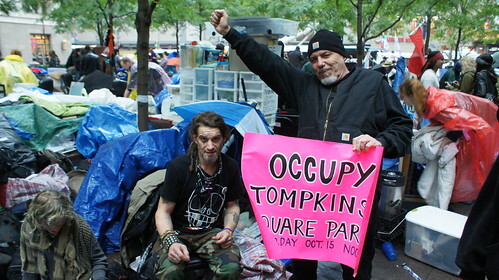 Jewels and John Penley at Occupy Wall Street.